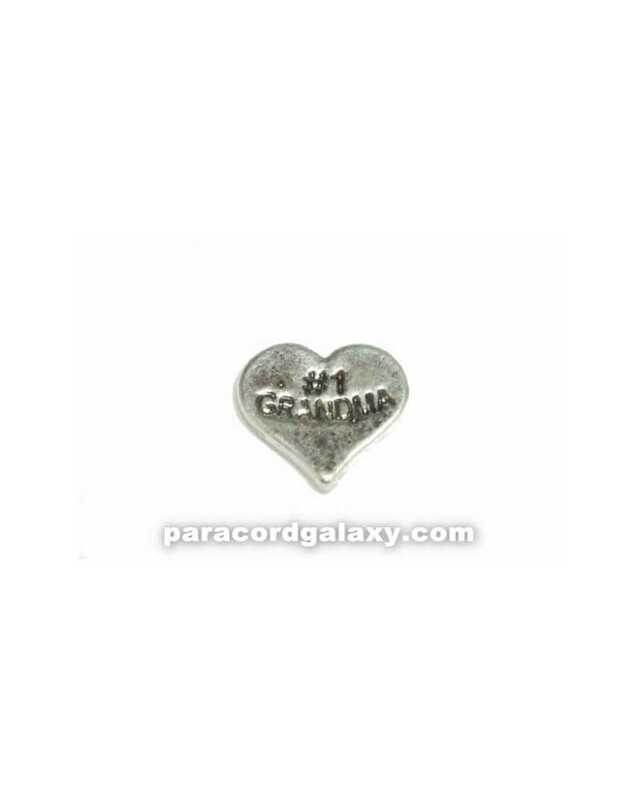 This floating charm is heart shaped with the words "#1 GRANDMA" stamped in it. Floating Lockets sold separately. This floating charm is heart shaped with the words "#1 GRANDMA" stamped in it. Use with Floating Lockets. Locket sold separately.